Home Develop Stick To Your New Year’s Resolutions! Another year is coming to an end, and a new year starts. A lot of people use this time to evaluate the year that has just passed; the good, the bad, and what might need to change. 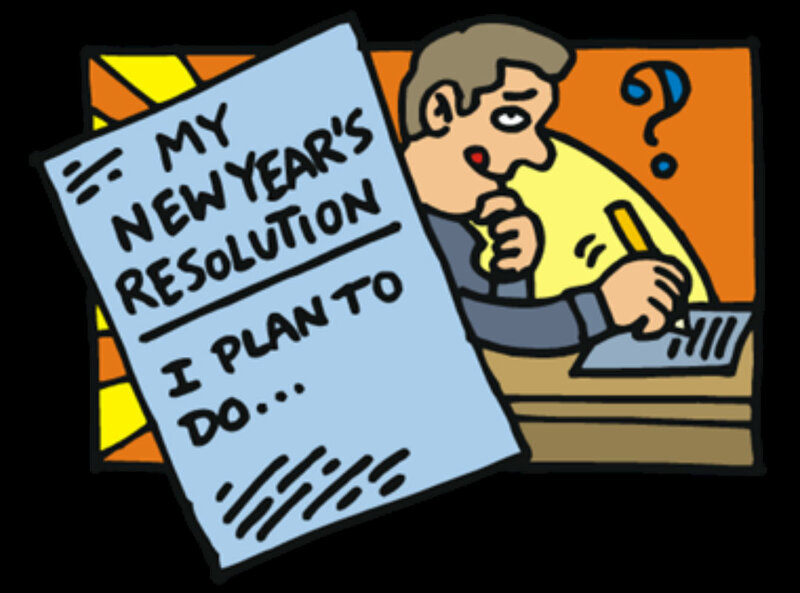 Have you ever made New Year’s resolutions? Did you end up sticking to them? If not, don’t worry – you are not alone! Many of us gave up on New Year’s resolutions once and for all; remember that time you wanted to quit smoking and it lasted for an hour? Or the gym subscription you paid for in advance and used only once? Well, it doesn’t have to be this way, we have a few suggestions that can help you plan your new year’s resolutions and stick to them. Choose your resolutions right: Try to pick something that you really want; this way you are more (self) motivated to follow through and stick to it. I know you might be thinking of all these things that you should do -it might be a great idea to hit the gym more often or give up ice-creams- but such things can be a lot harder to stick to since you don’t really want to do them, and can end up having the opposite effect of bringing you down. Always differentiate between the things you want to achieve, and the things you should do but really don’t want to! Make sure you have a proper support system: Family and friends can be essential on your journey to achieve your goals. Share with them your resolutions for the New Year and your expectations; they can be supportive and helpful especially at those weak moments when giving up seems like the sweetest escape. Accept failing: Are you one of those who have already decided and tried to quit smoking four or five times already? Or swore never to eat sugar again just to pick up an extra sweet cup of tea five minutes later? If your resolutions always end up failing, don’t worry. All you need to do is accept your failure, your decision to quit smoking is not a complete bust if you sneak a cigarette one week in. Try accepting your failure, understanding it, forgiving yourself for it, then try again. Reward yourself: If you decide to go on a new strict diet or to start a vigorous exercise regimen, rewards are your best bet to sticking to your decisions. Activating the pleasure centers through treating yourself to something you like should be an extra incentive for you to stick to your plan. Try having more frequent rewards at first to help you get through the toughest times, then maybe once a week or once a month. As we get closer to the end of the year, what matters most is that you try and make the most of everyday, minute and second. Happy holidays! Egypt Landmarks are lit up Blue!